As you ring in the New Year, you may be coming up with some resolutions for 2017. So here is our challenge to you: what will you do to improve your child care marketing plan in the new year? Here are some ideas for how to succeed in 2017 with new child care marketing solutions. Privacy and safety are the two most important things parents want in a local child care center. Before you post any photos of children at your child care center, get approval from the parents. It is better to be safe than sorry on this part of your child care marketing plan. If you violate a family’s trust with a privacy breach, there is no going back. One of the initial factors that parents consider when searching for a child care center is distance from their home or work. Parents may use Google Maps to find nearby child care centers. Does yours show up? Your first step in your child care marketing plan is to claim your business on Google Places and Google My Business. If you take these two simple and free steps, you are well on your way to building child care marketing solutions. You also want to look into listing your child care center with your local Child Care Resource and Referral (CCR&R) Network. This will be one of the most fundamental child care marketing solutions. To increase your visibility, consider Business Directory Listings Management with Local Child Care Marketing. Include social media marketing in your marketing plan for your preschool. Social media marketing can be an effective option for child care marketing solutions because it is free! You will want to have a presence on social media platforms that are popular with your target market. 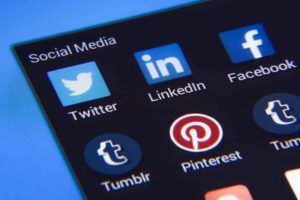 For targeting parents, specifically moms in their twenties and thirties, you can start with Facebook, Twitter, and Pinterest. Keep in mind that social media engagement is no substitute for interacting with parents face to face! A website is a non-negotiable aspect of your child care marketing strategy. Parents may make their child care choice based on a visit to a child care center’s website. Your website does not have to be complicated, but it should provide valuable information about the programs offered at your child care center. Make sure your website doesn’t take too long to load, since a longer load time equals a higher bounce rate. This means that people will not wait for your website to load — they will just move on to your competitors instead. When was the last time you visited your own website? Have you looked at your website on your phone? If anything looks strange on your website when you view the site from a mobile device, have your new top priority: make your website mobile-friendly. People spend more time browsing the internet on their mobile phones than they do on laptops or desktop computers. Your target market, aka parents, will more than likely be viewing your child care website from some type of mobile device. If your website is mobile-friendly, your website is more likely to show up higher on search results! If you already have a stellar website and a strong social media presence, what can you do to further increase enrollment? There are two things that can take you from good to great, according to child care marketing solutions experts. Get testimonials from parents about their amazing experience at your child care center. Quality testimonials from parents go a long way in helping new parents decide to enroll their children at your child care center. Take this one step further if you want to truly excel in your child care marketing this year. Film parents and teachers for video testimonials. 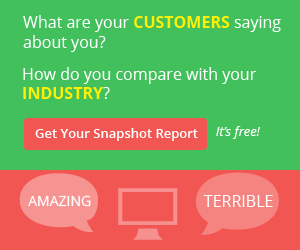 The video format of the testimonial builds even more trust. Since parents are leaving their children in your care, trust is absolutely priceless. Consider using a family event at your child care center to set up a station for taking testimonials from parents. This will be far less complicated than scheduling parents separately. Have you ever looked at a business location on Google Maps Street View to get a sense of the place? Parents want to get a sense of where their children will be spending their days. Fulfill this need by building a virtual tour of your facilities. This way you can show parents that your location is a clean, safe, and fun second home for their children! Consider adding blogs to your child care marketing plan. Use the blog section of your website to keep parents up to date with developments at your center. Provide helpful and fun tips that can help parents become more involved in their children’s early education! Need more of an incentive? Well-written blogs can be an avenue for search engine optimization (SEO). An active blog on your website can improve your overall web presence and appearance on search engine results. Pay-Per-Click (PPC) advertising is one of the fastest child care marketing solutions. Many daycare owners appreciate PPC because they can fine-tune their ad to show up for terms that parents would search. 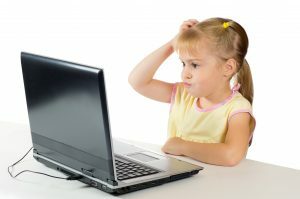 A local preschool advertising using PPC will only have to spend money when someone clicks through the ad to view their website. Take your child care marketing strategies to the next level this year with Local Child Care Marketing. We offer child care marketing solutions through a wide variety of services. If you really want to excel in your child care marketing in 2017, it may be time to move to The Child Care Web Presence Solution™ with Local Child Care Marketing. Our expert team continues to research industry developments in order to make sure we are providing you with the best services. Boost the visibility of your child care center and increase enrollment with our help. Contact us to learn more about what we can do for you in 2017! Local Child Care Marketing attended the Child Care Success Summit in Phoenix, AZ. The Summit was held at the Sheraton Grand Phoenix Downtown October 13-15. Local Child Care Marketing is a Web Presence Development Agency which works with child care centers. The company has attended and presented at previous Child Care Success Summits. Local Child Care Marketing shared expertise in building business success through industry-tailored website development. Local Child Care Marketing employs more than 20 professionals to help child care centers with online marketing. Founder and President Jeff Fisher is a Certified Local Internet Marketing Consultant by the Local Internet Marketing Association. 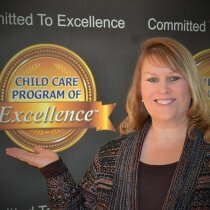 Local Child Care Marketing was founded in 2011 in Reno, NV to help child care centers build a web presence. Local Child Care Marketing offers website building, online branding through directory listings, Pay-Per-Click and Facebook advertising, local authority building through articles, and general SEO help to child care centers. Local Child Care Marketing works with more than 75 child care locations in the United States. Local Child Care Marketing is a member of The Chamber of Reno, Sparks and Northern Nevada. 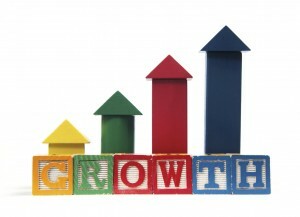 One easy way to boost your local preschool business is by increasing traffic to its website. As more people see the site, they learn about the preschool and the services it provides. The trick to building traffic is to create high quality backlinks. Back-links are links on other websites that lead back to your website. Building five valuable back-links per day is a smart idea. Why? Links build traffic, increase customer base, help build relationships with other child care sites and establish credibility. Search engines look at backlinks to decide how well known and relevant a website is. The more valuable back-links a site has, the higher it ranks for an internet search. Sites with quality links coming from related sites rank high. 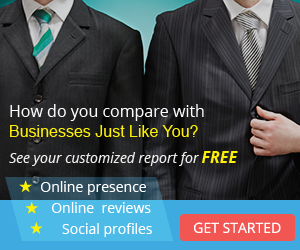 More people find your local business and learn about your services. A preschool business that builds five quality back-links per day will improve its internet ranking and increase traffic to its site. Building valuable backlinks exposes your site to more people. When someone visits a related website looking for information, chances are they will see your link. Chances are good that they decide to click over to your site. Your preschool business gains a potential customer. These are people who might never have found your local business if it were not for the backlink. Build quality back-links and your preschool business reaches a much larger customer base. Building a small number of quality back-links per day gives your preschool business the chance to build relationships naturally with other well-known child care organizations. 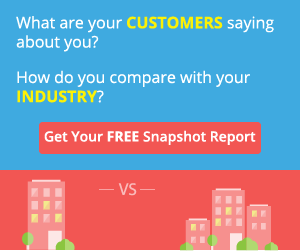 Choose only relevant, credible sites to link with and your local business becomes reputable. In addition, other child care sites may have valuable information to share. An important thing to remember is that not all links are equal. Link building services claim to build hundreds of links in a day. These are not quality back-links. 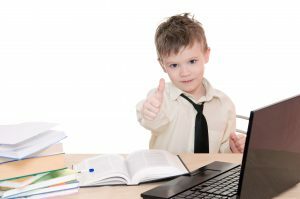 Your preschool business especially, needs to be very careful in building inbound links. Build only five quality links per day. Make sure they are from only relevant, credible sites and your local business will slowly build credibility. Back-links that are not quality will end up hurting your business rather than helping it. Your preschool business can benefit from building five quality back-links per day. Great links improve internet position. They create the opportunity to build relationships with other related businesses, as well as bring new customers to your website. Lastly, building only five backlinks per day from great sites builds credibility. 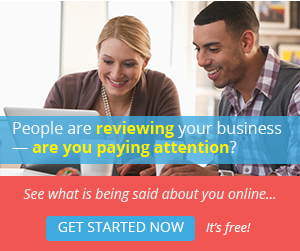 Too many businesses either do not know how or simply fail to track their on-line and off-line marketing. That means instead of building on what works, they are often guessing and unable to see any results. However, that does not have to be the case. Your child care business, for example, can track both and then use that information to drive future marketing campaigns with the goal of seeing improved results. Your child care business needs to use data to drive marketing decisions. Otherwise these shots in the dark will net a lot of frustration and misses instead of improved results. However, systematically conducting performance tracking will have different results. First, start with a baseline and clearly defined goals. For example, what is the current enrollment? How many calls per week are received? Once this information has been obtained it will be easier to determine the impact of each marketing strategy. If your child care business truly wants to see improved results, they have to track both offline and online performance on a consistent basis. Of course, it is best to do performance tracking in the first few weeks of any new strategy. This will provide clear results for the various marketing campaigns. However, setting up some type of review schedule will help to track the results over time. This is important because things can change within the market and successful strategies may need to be revamped. On-line performance tracking is, on the surface, the easiest to conduct. 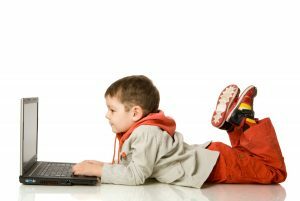 That’s because many websites and email providers use software that will allow the child care business to track various strategies. 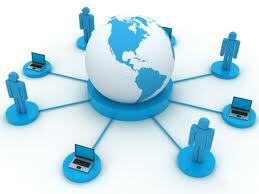 For example, website providers can track visitors, back links, and even how many return visitors. Email providers can track who has read emails, deleted them and even forwarded them. 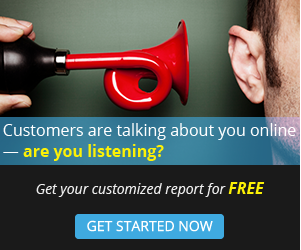 However, be cautious as this really only tracks online activity in response to marketing. It doesn’t track conversions to customers. However, off-line strategies can also be very difficult to track. That’s why your child care business might try to track off-line activity with on-line tools. For example, you might run an ad in the local paper with a unique access code to a landing page. Some businesses have experimented with creating unique suffixes and prefixes attached to their URLs. In this manner, the site knows that the traffic is a direct result of the physical ad. However, in this case, improved results are again only measured by activity and not conversions. Of course, your child care business is most interested in knowing the effect each strategy is having on enrollment. There are several ways to do this. Simply comparing the correlation between increased enrollments and marketing campaigns can help. Some business will also use a unique phone number that is only available through the on-line campaign. Dialing this number then results in a ping directed to the site. Also, consider on-line coupons for discounts or waivers of registration fees. So get started now and do some performance tracking. Your child care business can benefit greatly from knowing which campaign is having an effect and which is not. There are multitudes of ways to track both on-line and off-line activity. Each has its own benefits and drawbacks and can provide the center with different information. Regardless of which is chose, data driven decisions are always better than shots in the dark.